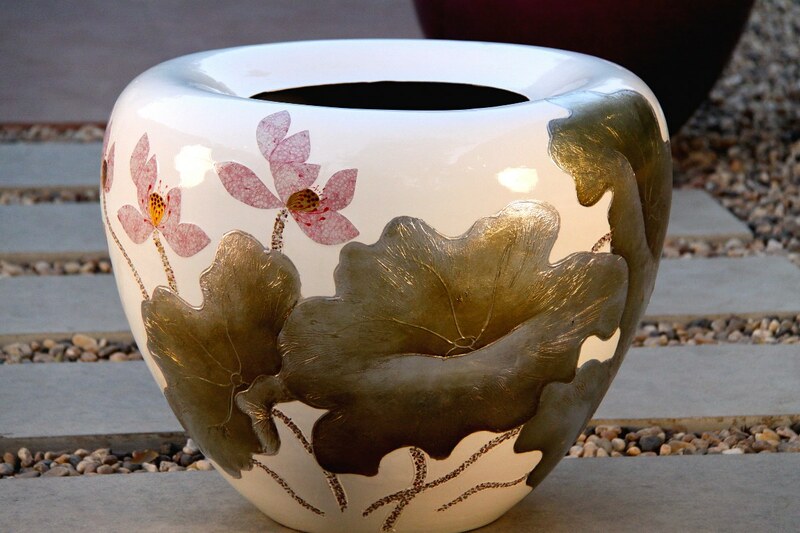 This beautifully shaped lotus painted ceramic vase will add the finishing touch to your shelf or mantle. It’s great for holding flowers from your garden, or simply juxtaposed with your room’s colourful decor. The colours are earthy and pastel and will compliment any room type.